What are kiln dried birch logs? Kiln dried birch logs are kiln dried in a kiln oven, birch is a hardwood species with a smooth bark and burns with a pleasant fragrant smell. Kin dried birch and ash are both very popular log options. Ash is the most popular overall. Birch produces a fragrant smell when burnt and it’s also easy to handle as its bark is smoother than ash. Birch is slightly easier to light than ash, but it’s known to burn faster than ash. Ashby offers birch at £175 and ash is sold at £195, both with free delivery. Why would I use kiln dried birch logs? 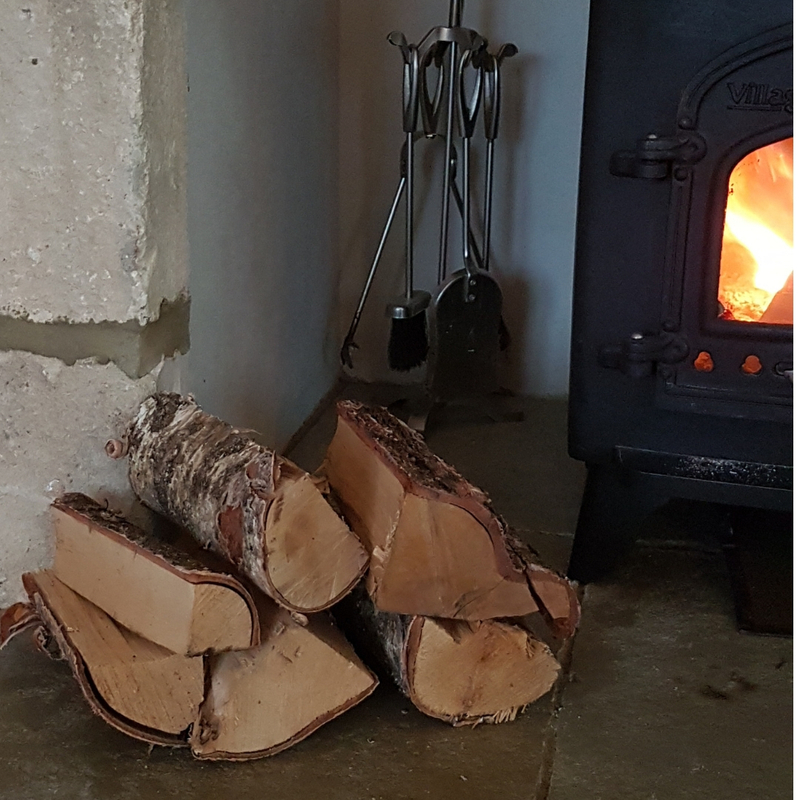 Birch kiln dried logs are easy to light, easy to handle as the bark is smooth, they produce a bright burn with a high heat output and a great fragrance. Birch is an ideal choice for woodburners, fireplaces, fire pits or wood fired pizza ovens. Why are birch logs popular during the festive season? People often buy more birch in December because birch has a pleasant scent that is thought add to the festive atmosphere when burning logs. How can I buy birch at Ashby? Kiln dried logs are available in crates or bulk bags at Ashby. It is also available in a log box or to try in a net bag.